When we went to the ark it amazed me on how big it was. Imagine, two of each kind of animal on it; it would have to be a pretty big boat to do that! 510 ft long and more then 50 ft off the ground! I can understand how hard it was to believe Noah. They had never had rain before and then a man comes and says, “A flood will come and destroy the whole earth!” It would be like this…a man comes along and says, “An alien invasion is coming and I am going to build a space ship and take all the animals with me!” It would kind of be like that. Would you believe him? I would not! I really enjoyed the ark. I believe in the flood happened because, well, there are several reasons. First, if there was no flood, how could so many fossils form? You need just the right environment and it needs to happen quickly for them to form. That is what happened during the flood. And another good reason: if there was a flood and Noah didn’t build the ark, how would there be anyone on the Earth? Everyone would have perished. One more good reason: scientists (and I) both see each continent like a puzzle piece. Maybe they all used to be one piece. How did they break apart? Maybe the flood did it. 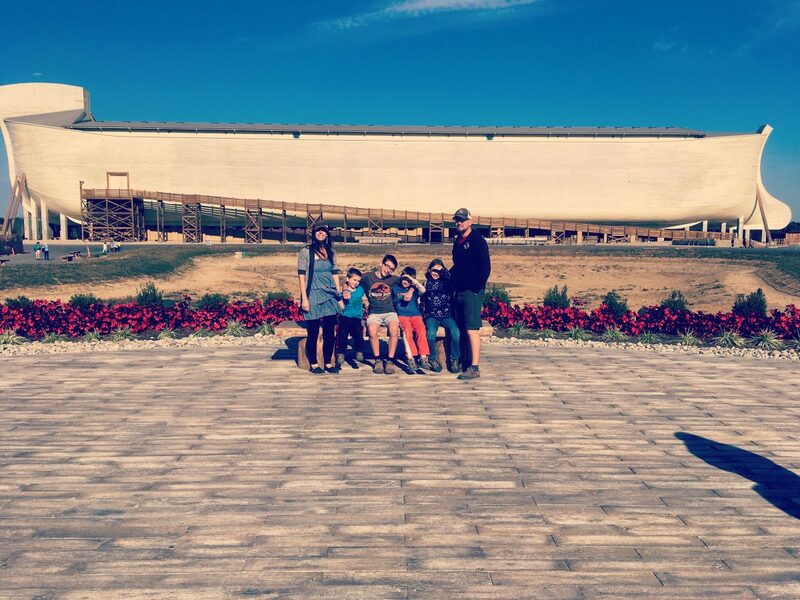 To see what my mom thought of the ark encounter, click here. Ashlyn you are a good writer just like your mama!! Keep up the good work! Love your faith and insight! Ashlyn, I love your comparison to aliens coming! What a good thought. I wouldn’t believe him either. Noah is such a good example of obeying God even when no one else believed him and kept making fun of him. Maybe the people who didn’t believe Noah were the ones who invented the phrase, “You’re all wet.” Again, I would love to visit that museum and see that life-size Ark. Thanks for sharing your thoughts on the flood, and keep up the good work! Thanks for sharing. We want to see The Ark also.